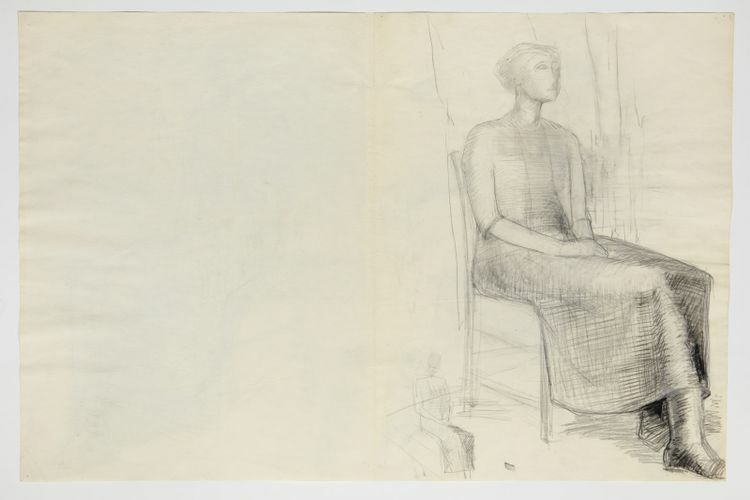 The exhibition’s curator Neil Powell, a sculptor himself, found the life drawings in a folder in archives in south London of Caro, who died in 2013. He saw immediately that they represented the hands of two artists, and he recognised their work immediately—Caro and his then boss, and as the drawings prove, his tutor, Moore. Powell revered the work of both men: he met Caro several times at the Royal College of Art, where Powell was a Henry Moore scholarship student. The Annely Juda Fine Art in London is also mounting an exhibition spanning the seven decades of Caro’s long working life, from 1 May until 6 July.